Maintenance Probiotics, prebiotics & enzymes help maintain microflora recolonization, gastrointestinal health, intestinal cleansing while supporting the inhibition of pathogenic bacteria & overgrowth of yeast, mold & fungus that come from unhealthy lifestyles, hormonal imbalances, excessive sugar consumption, environmental pollutants & pharmaceutical drugs, including antibiotics and oral contraceptives, that can wreak havoc on the proper balance of microorganisms in the gastro-intestinal tract. 180 capsules each bottle – 12 bottles to a case. You can also take probiotics when you are having physical cravings. These cravings usually take place between your meals and 1-2 is recommended with glass of water or with a vegetable juice. Candida albicans is usually a harmless yeast present in the body. However, stress, in the form of modern lifestyles, hormonal imbalances, excessive sugar consumption, environmental pollutants, and pharmaceutical drugs, including antibiotics and oral contraceptives, can wreak havoc on the proper balance of microorganisms in the gastro-intestinal tract. Chitosanase is a unique and powerful enzyme that helps to break down chitin, an important part of the structure of theCandida cell wall. Cellulase enhances this activity by breaking down the cellulose component of the cell wall. 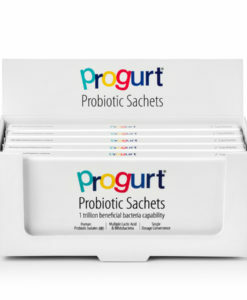 SEBiotic® is a special spore-forming probiotic that is incredibly stable in the dormant state. 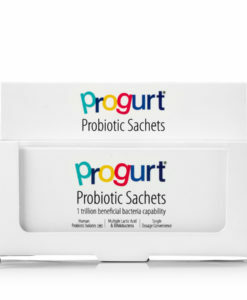 Using our Enhanced Probiotic Delivery System(EPDS), this probiotic can exist in a dehydrated state indefinitely. EPDS delivers larger amounts of living bacteria into the intestinal tract, where they colonize and flourish. Once in the intestinal tract, these bacteria exit their spores, attach themselves to the intestinal mucosa, and begin to germinate, producing new colonies of friendly bacteria. 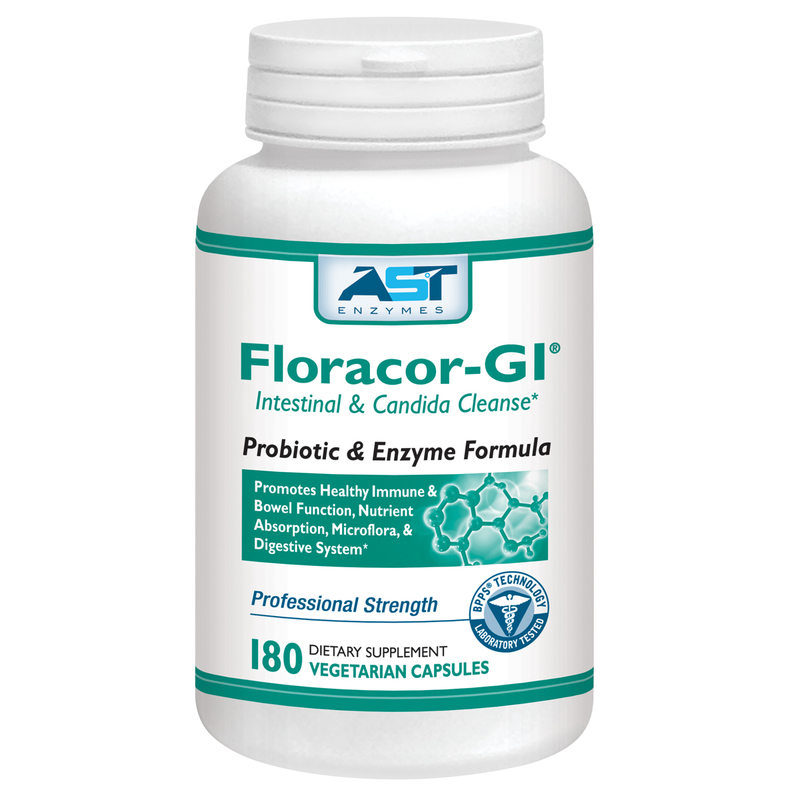 The Fructooligosaccharides (FOS), nutrient-dense alfalfa, and papaya powder in its fortified Prebiotic blend enhance the growth and stability of probiotics in the gut. 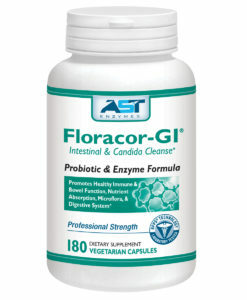 The high-activity proteases, including Peptizyme-SP brand serrapeptase, in Floracor-GI hydrolyze putrefying food matter trapped between the intestinal villi. This results in a better intestinal environment, improved absorption, motility and better overall colon health. ALFALFA POWDER promotes colon health and is a rich source of vitamins and minerals, and protein. It works well with prebiotics in promoting overall digestive health. AMLA, or Indian gooseberry (Emblica offficinalis), is a natural and efficacious antioxidant. It is one of the richest sources of absorbable vitamin C available. PAPAYA JUICE POWDER from green papaya is dehydrated at a controlled temperature to ensure its maximum nutritional value. It is 100% natural and nothing is added as a drying aid or preservative. It retains the natural proteolytic, active enzyme, papain. Papain has been used for centuries as an effective digestive aid. LACTOBACILLUS ACIDOPHILUS is a probiotic that produces lactic acid that inhibits the growth of pathogenic bacteria and yeasts. LACTOBACILLUS CASEI is another probiotic that produces lactic acid and has a wide pH and temperature range and complements the growth of L. acidophilus in the production of the enzyme amylase. LACTOBACILLUS PLANTARUM is a probiotic that works with L. acidophilus in inhibiting pathogens. It also produces L-lysine, a beneficial amino acid. LACTOBACILLUS BREVIS is a species of lactic acid bacteria. It is very prevalent in fermented foods such as sauerkraut and pickles and has been found to improve the immune system health. LACTOBACILLUS CAUCASIUM is a species of lactic acid bacteria used for its health-promoting properties. LACTOBACILLUS HELVETICUS is a lactic-acid producing rod shaped bacterium of the genus Lactobacillus. It is most commonly used in the production of cheese. Some research has indicated that powdered milk fermented with L. Helveticus helped reduce blood pressure. 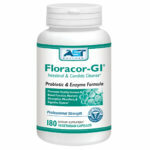 BIFIDOBACTERIUM BIFIDUM, a probiotic well-documented for its adverse effect on pathogenic or disease causing bacteria. Bifidobacteria aid in digestion, and are often used as probiotics (good bacteria) for their immune stimulating properties. SEBiotic® (Bacillus coagulans or Lactobacillus Sporogenes) is a spore forming lactogenic probiotic with the trade name SEBiotic®. 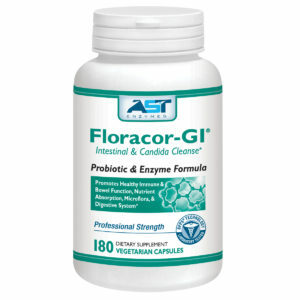 As with other probiotics, it demonstrates significant immune strengthening properties. 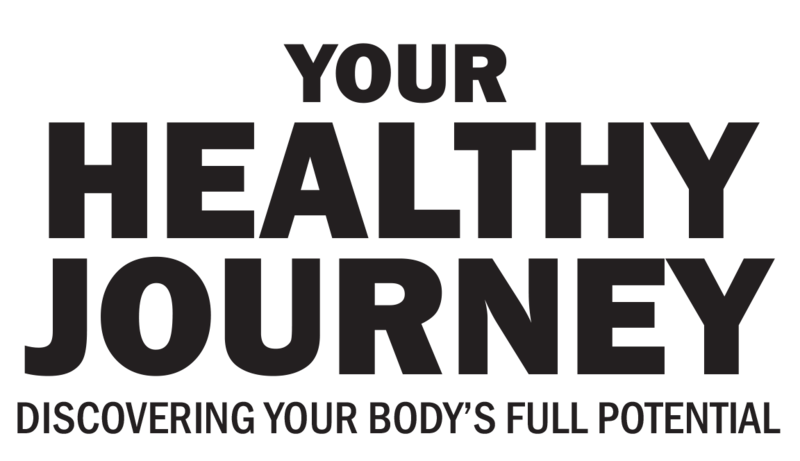 As a spore forming probiotic and through our Enhanced Probiotic Delivery System? (EPDS? ), more SEBiotic® is delivered to the gut where the bacteria begin to germinate, and eventually colonize. SACCHAROMYCES BOULARDII is a probiotic that helps maintain and restore the balance of microflora in the large and small intestine. FRUTOOLIGOSACCHARIDES (FOS) are short-chain sugars that stimulate the growth of probiotics in the digestive system. FULVIC ACID makes minerals bioactive and available to the cells of the body including probiotics. They stimulate metabolism, enhance respiration, increase metabolism of proteins, the activity of multiple enzymes, enhances the permeability of cell membranes, and promotes cell division.